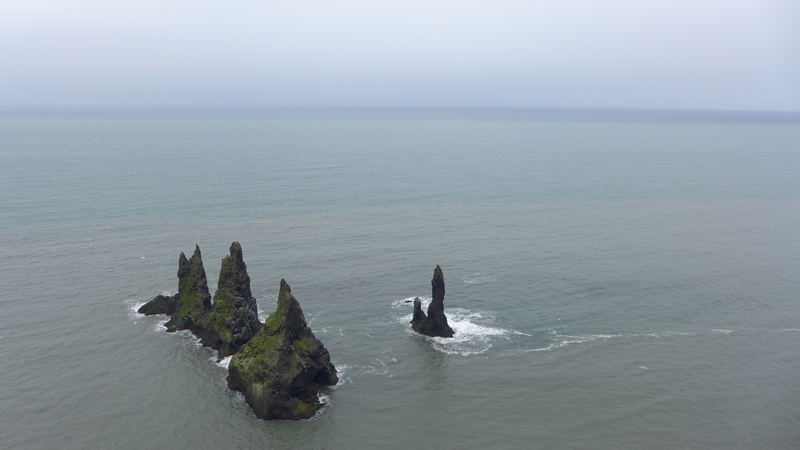 They say Iceland is the land of fire & ice. This is the truth. I found, in general, the south is the land of ice and the north is the land of fire. 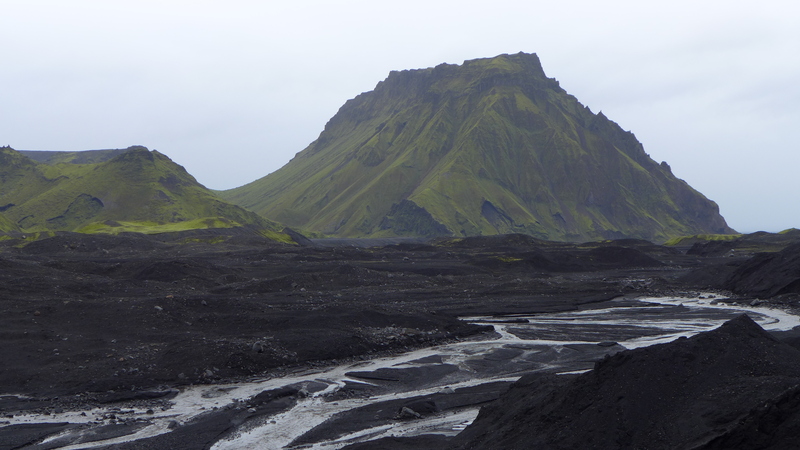 I landed in Iceland in the afternoon on a Thursday and we collected our rental car from Sixt at the airport. 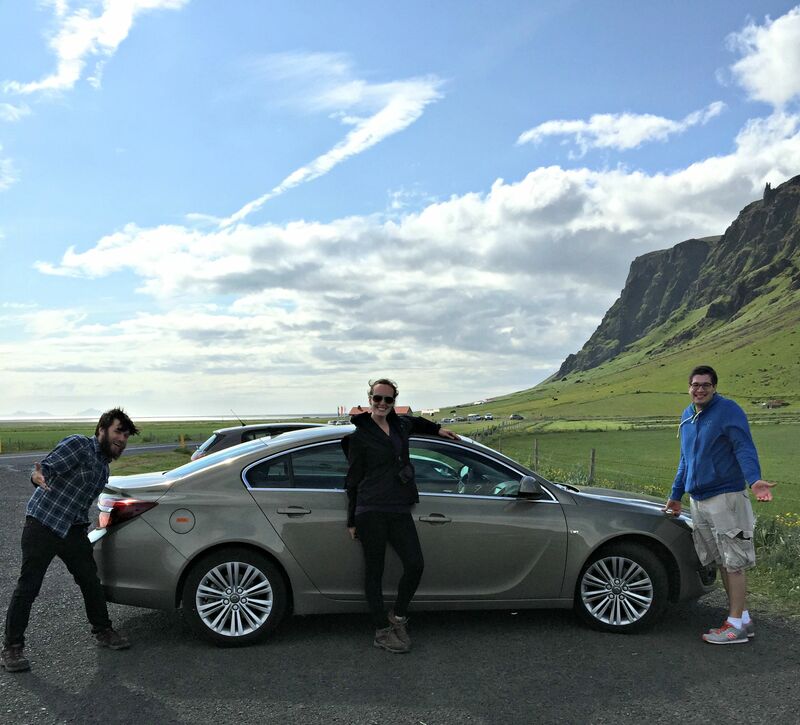 We were very lucky – we originally booked one of their cheaper cars (Chevy Cruze) but since they didn’t have it when we arrived, they upgraded us to an Opel Insignia for free. That car literally costs twice as much per day as what we paid!! I do recommend booking your car online in advance like we did – it should save you quite a bit of money. Don’t worry about purchasing insurance in advance – we were able to add it on when we were there collecting the car. We made our way from Keflavík to Reykjavík (45 minute drive). We didn’t have much planned for today, we just wanted to load up our car with groceries and supplies and get organised for our road trip, which would start tomorrow. We read Bónus is the cheapest grocery store in Iceland but we got there just as they closed at 6pm. We saw a 10-11 but knew this was the most expensive grocery store in the country, so we kept driving and found a Krónan shop. We bought apples, 3 bags of pasta, pasta sauce, nutella, rice cakes, bananas, peanut butter, chickpeas, rice, crackers, TONS of granola bars, protein bars, tea, gum, fig newtons and TP. We ended up eating almost all of the food and the supply lasted for the trip. 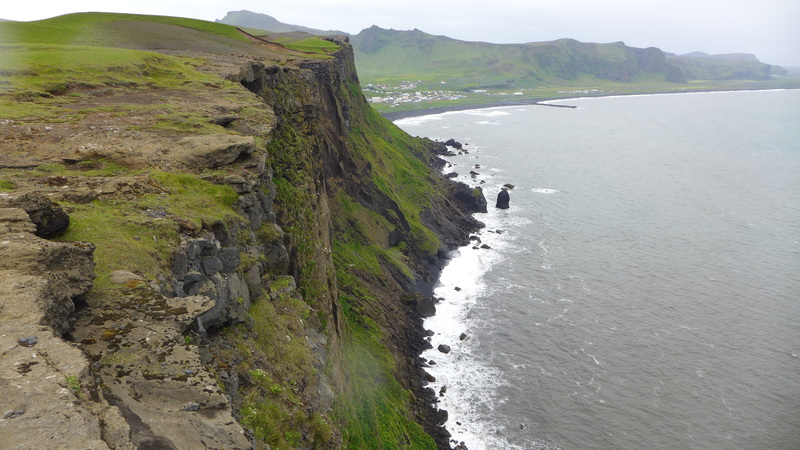 We went for a rest before driving into Reykjavík to see the Hallgrímskirkja church for the first time. 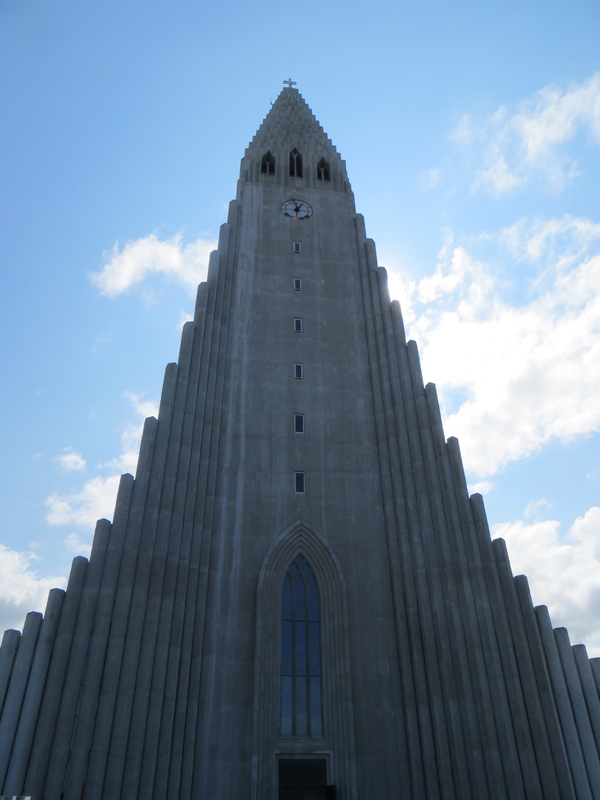 I’ve seen a LOT of churches around the world and this is by far the coolest-looking one I’ve ever seen. Something to keep in mind, before I get into details, for those of you planning to do a road trip around Iceland (and I will reiterate this over and over): You cannot possibly do the full Ring Road (Route 1) in less than 7 full days (if you want to see most of the sights), but I would highly recommend a minimum of 10. We did it in 7 but everyone we talked to was very impressed by this and said that is hard to do. 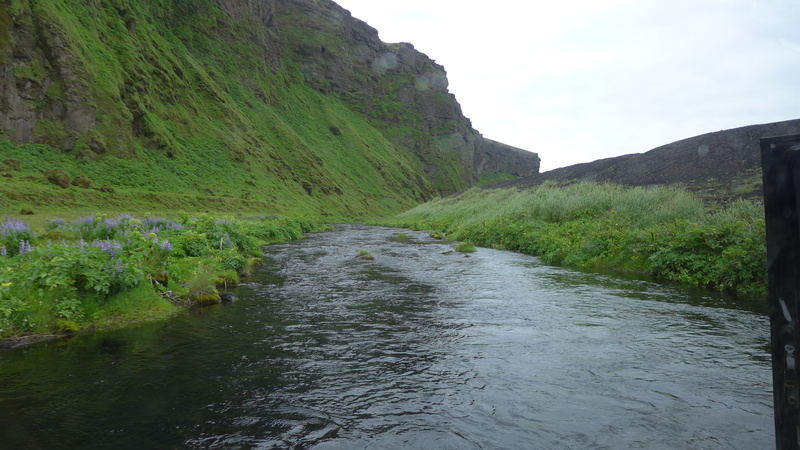 It did seem rushed at times and we had very long days (easy to do with the midnight sun!). If you have more time, definitely make sure to rent a 4×4 vehicle because there is so much more to see off the Ring Road! 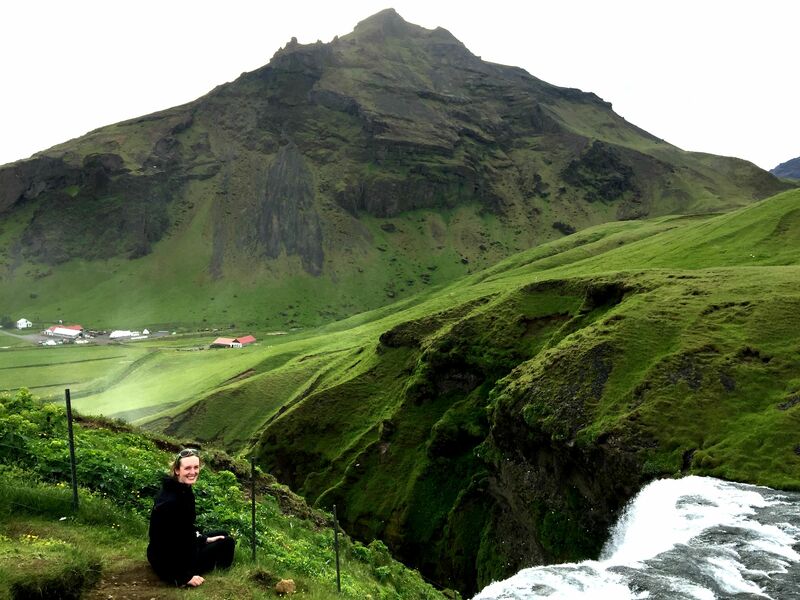 Before we got on the road, I went to Vodafone to buy an Icelandic SIM card. We went to the headquarters and oh my GOSH. I highly recommend going here just to see how impressive this place is. 1) Easily the largest phone store I have ever been in 2) Most gorgeous employees on the planet 3) Immaculate, impressive place and 4) If you make any purchase, you can get as much coffee and/or tea as you want. SAY WHAT?! I had the BEST cappuccino I’ve EVER had at Vodafone in Reykjavík. She put amaretto syrup in it and it was truly unbeatable. 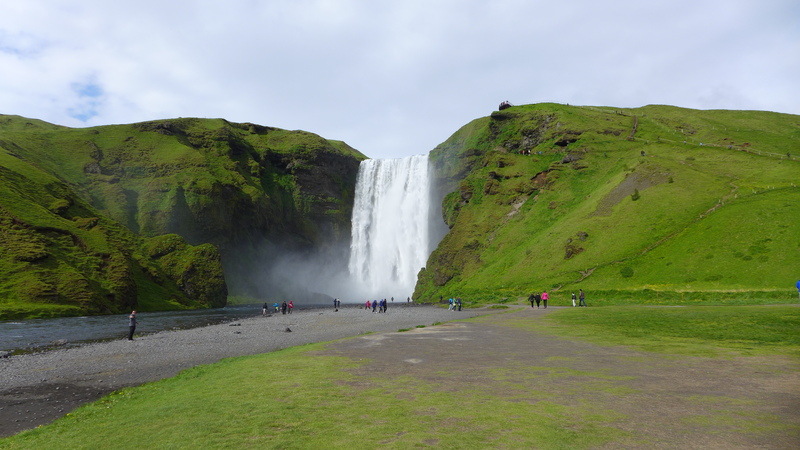 We accidentally missed the Golden Circle, but I wasn’t too disappointed because it’s very touristy and crowded (especially in summer) and I knew we would be seeing plenty of incredible sights on our trip. 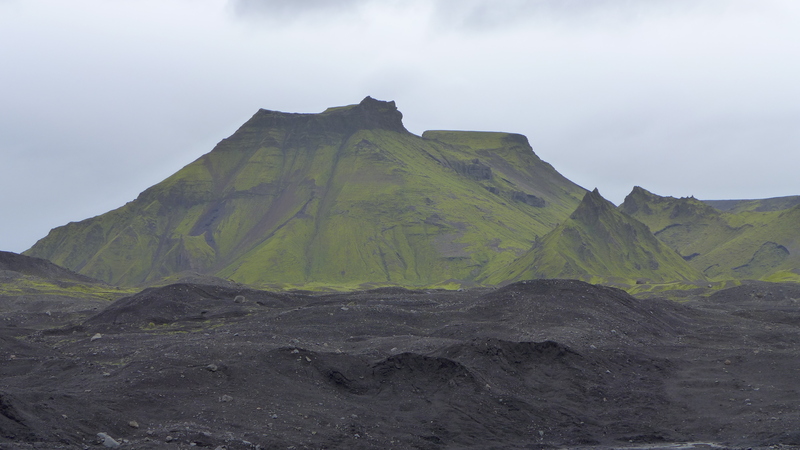 I do wish we could have seen Geysir and the Kerið crater, though – next time! 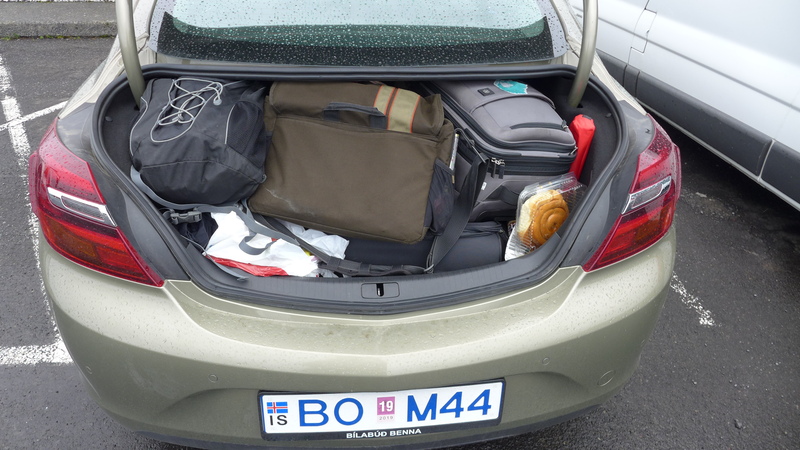 When you are doing the drive from Reykjavík to Vík, do not be concerned. We drove for 1 hour and 40 minutes until we saw our first sight. 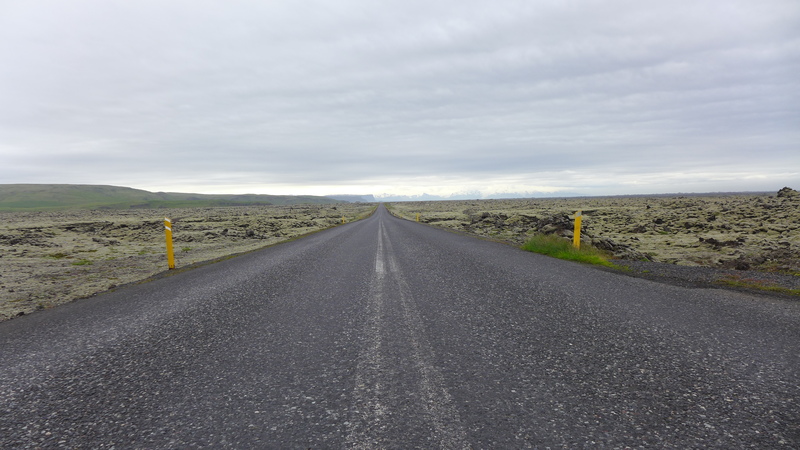 Before coming to Iceland, I read so many blogs saying “you’ll be stopping your car every 5 minutes” because of the beauty, and I felt like we were on the wrong road because we hadn’t stopped AT ALL. 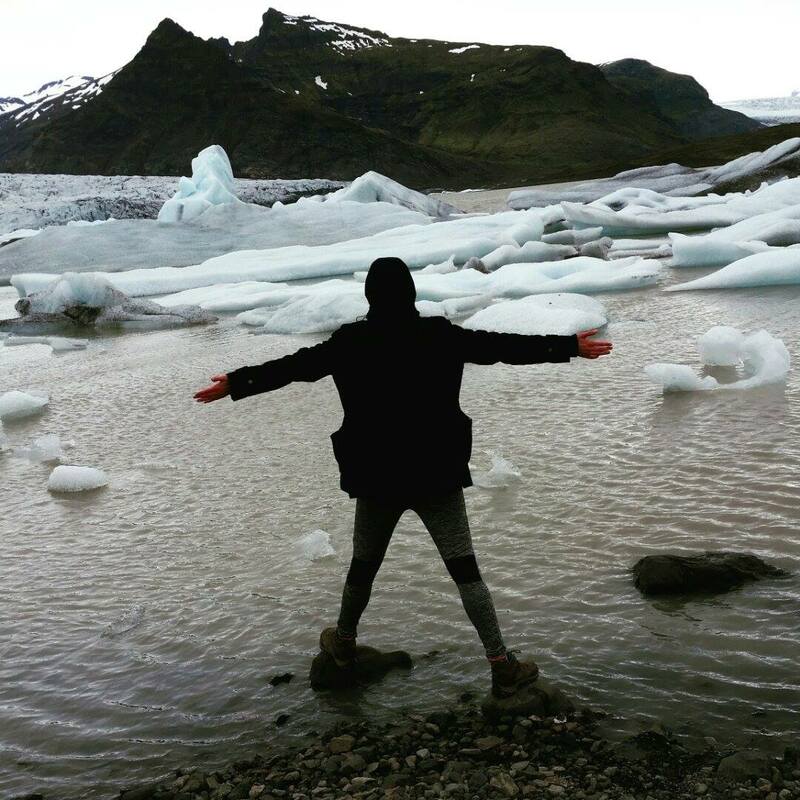 When in Iceland, if you also find yourself in this position at this point of the trip, do not worry. Things will change. I was also slightly panicked in the beginning because unless you know the names of the sights you want to see, it’s not always obvious where you should stop or when you should turn and go down a long gravel road. 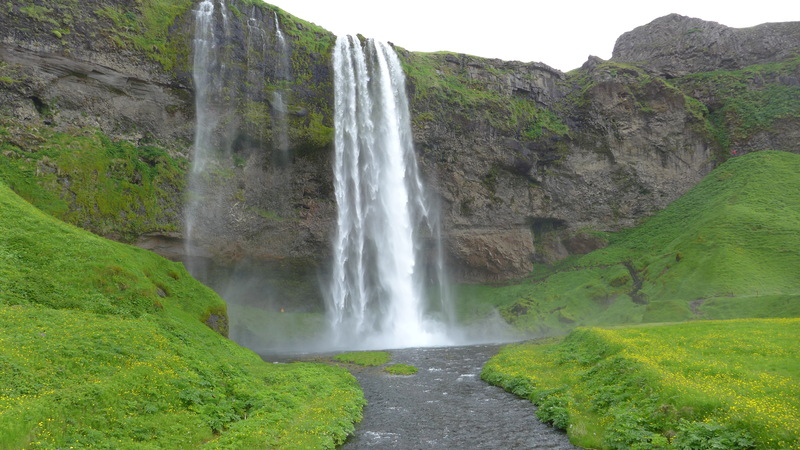 Our first stop: Seljalandsfoss (waterfall). It took us approximately 1 hour and 40 minutes to get here. Today was a day for chasing waterfalls. The sun was shining and it was beautiful outside (54F, 12C). We saw a rainbow close to the waterfall, which I sadly do not have any photos of. The mist was too strong to use my camera and I forgot my GoPro in the car. By the time I went back to the car to get my GoPro, the rainbow was gone. 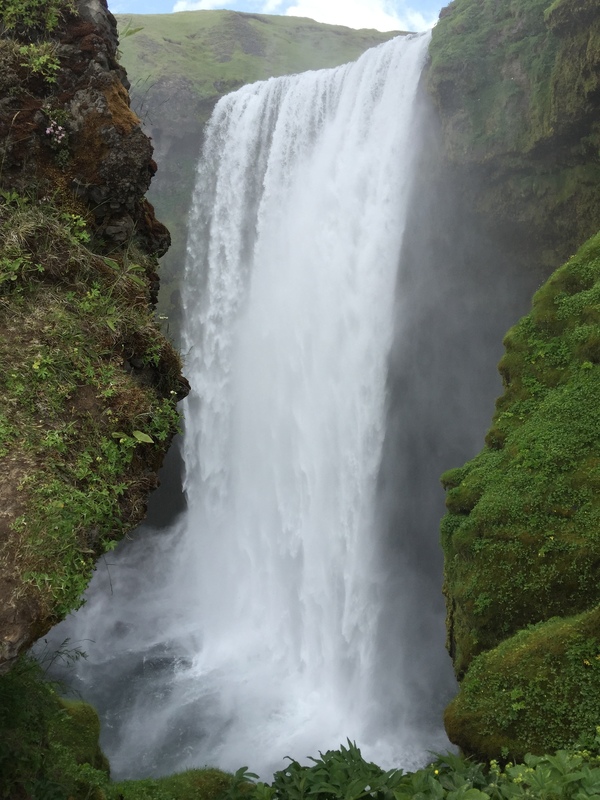 Next stop: Skógafoss (waterfall). We hiked to the top and stayed up there for quite awhile while the guys went for an adventurous walk. 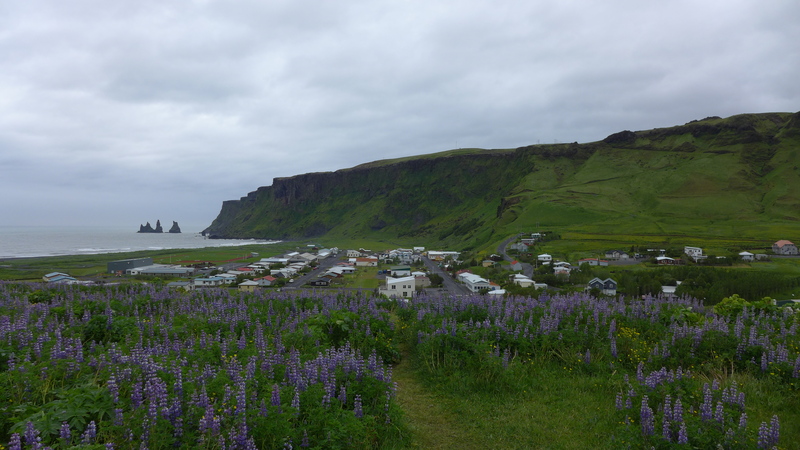 We made it to Vík, ate dinner and checked into our guesthouse at 9pm. 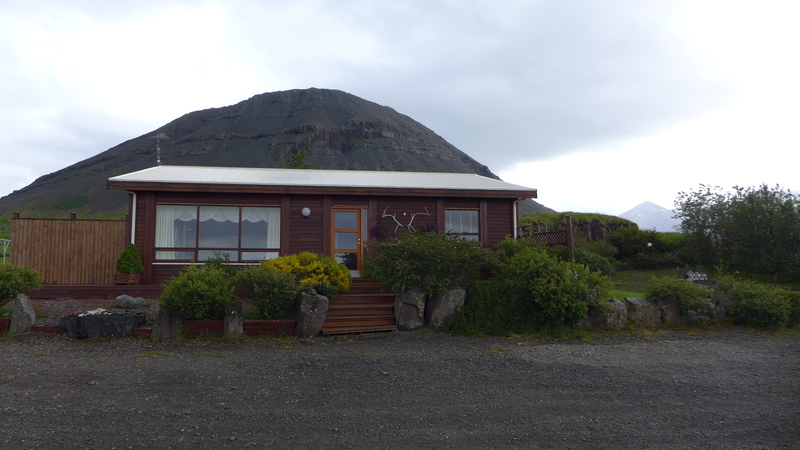 This guesthouse is in a lovely location, not far from Vík at all. I was mostly impressed with this place except for the bathroom situation. Only one toilet, one sink and one shower for the entire ground floor to share. At least the shower is separate from the toilet. Keep in mind: the majority of guesthouses in Iceland have shared bathrooms, which is fine, but only one is not okay. 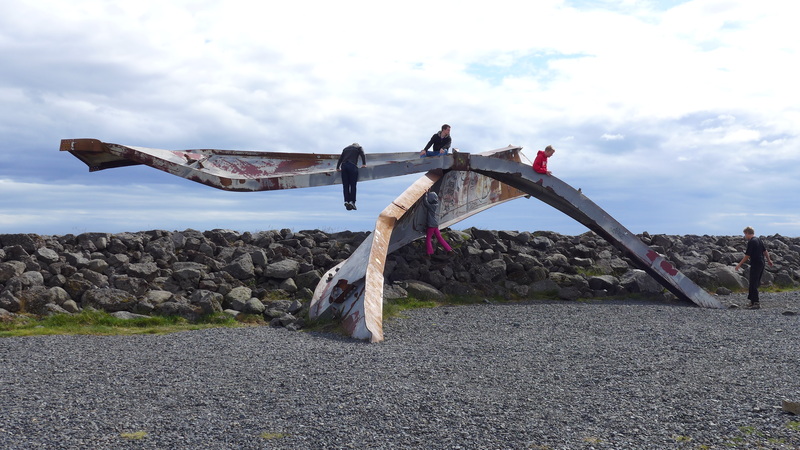 Day 2 – Katla Super Jeep trip; Vík to Höfn – our busiest day! 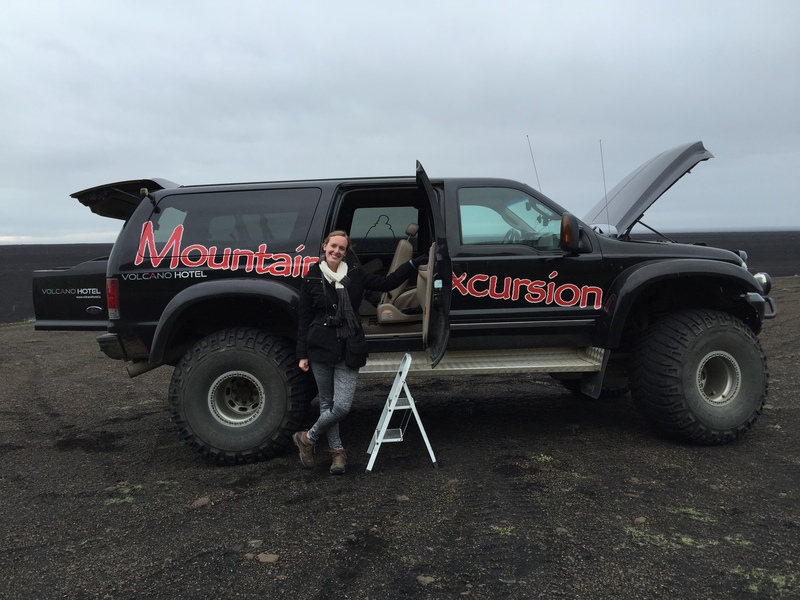 We started our day bright and early with a Mountain Excursion Super Jeep trip to Katla with our guide, Aron. This trip was 4 hours and I HIGHLY recommend it. 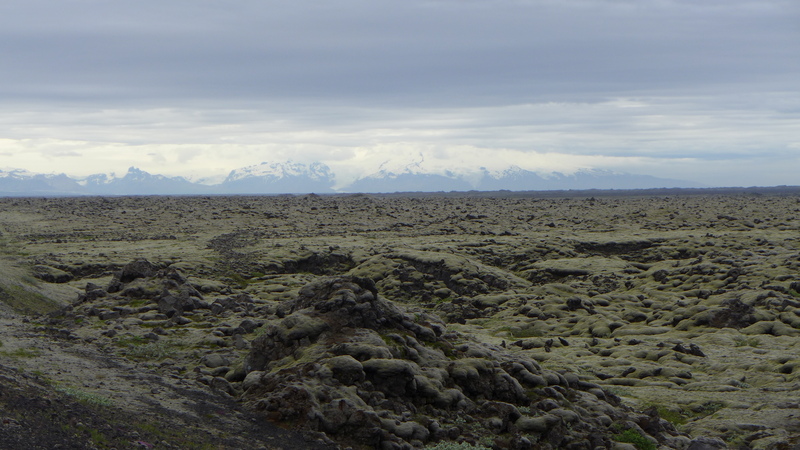 I originally really wanted to go with Katla Track, but they were fully booked well in advance. 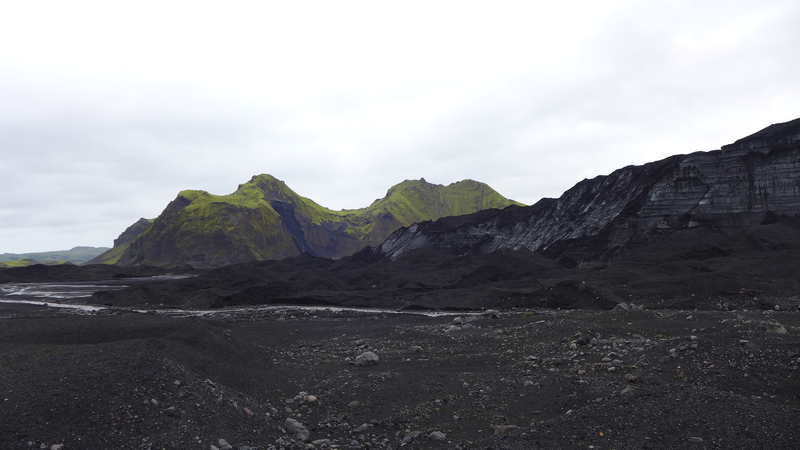 Luckily, I found Mountain Excursion because seeing Katla was very important to me. 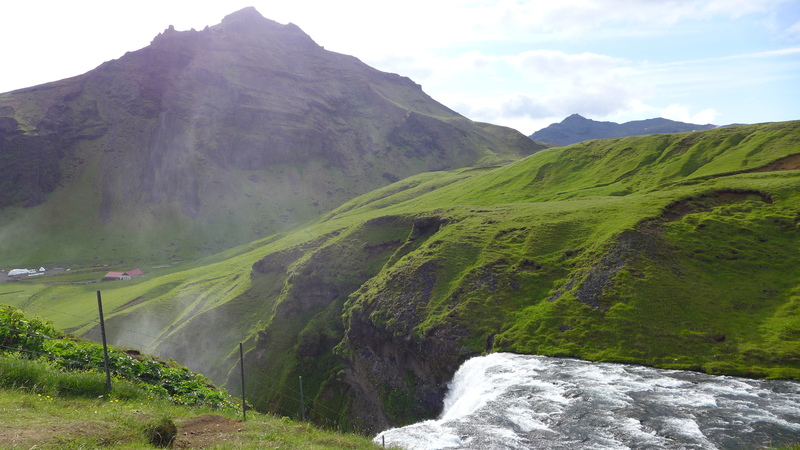 It ended up being one of the most beautiful places I saw in Iceland. 6 passengers fit in the Jeep (my group + 2 others) and the trip was good fun. If you go on a Super Jeep tour, please be smart and wear your seatbelt. We nearly got thrown around with our seatbelts on (I’m exaggerating, but the terrain is extremely rough!!). 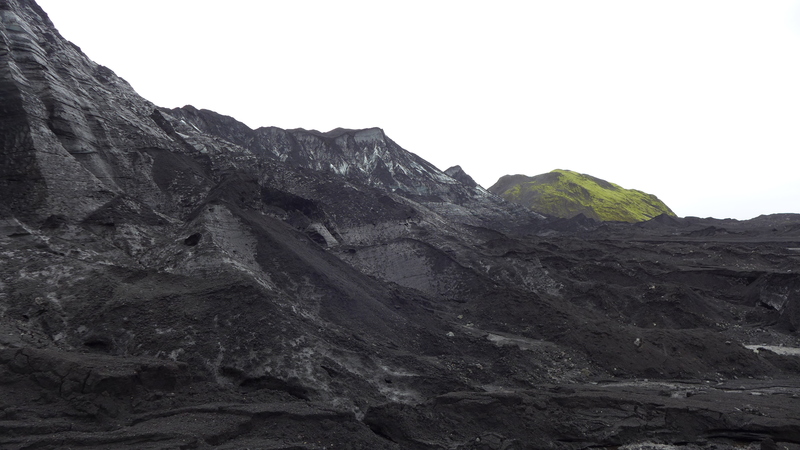 Katla is one of the most powerful, active and dangerous volcanoes in Iceland and is due to erupt. 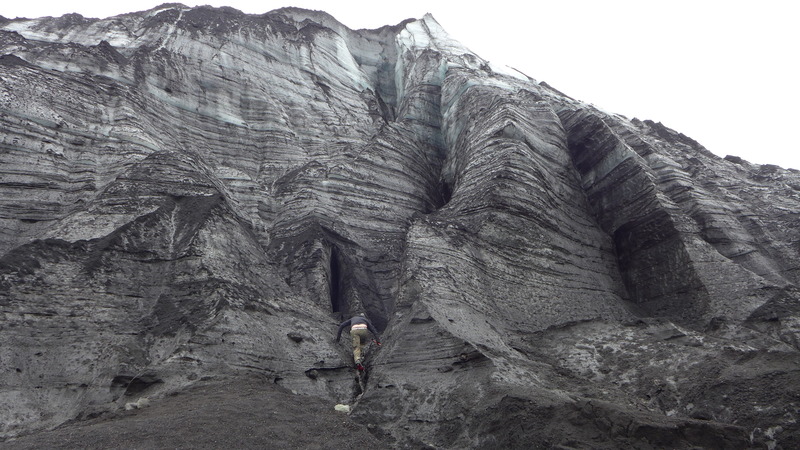 It last erupted in 1918 and usually erupts every 50-100 years. 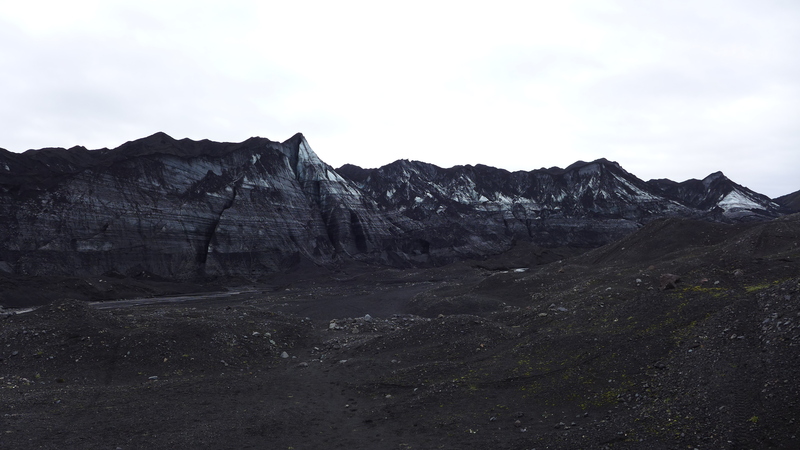 Katla is underneath the Myrdalsjökull glacier. 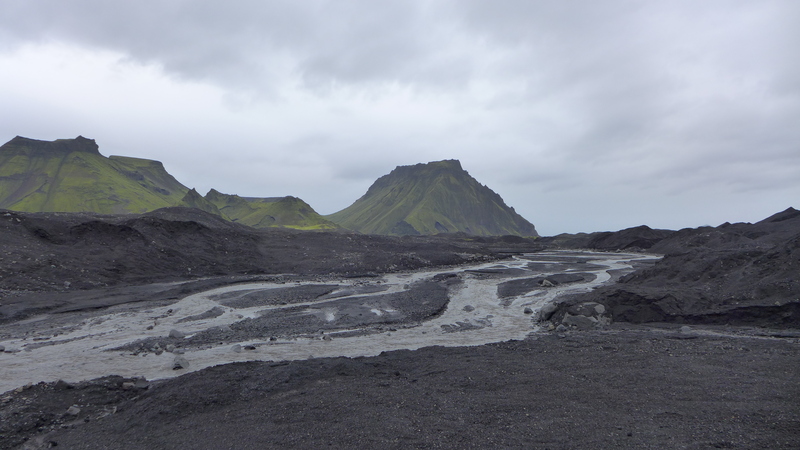 The area surrounding Katla is simply breathtaking. 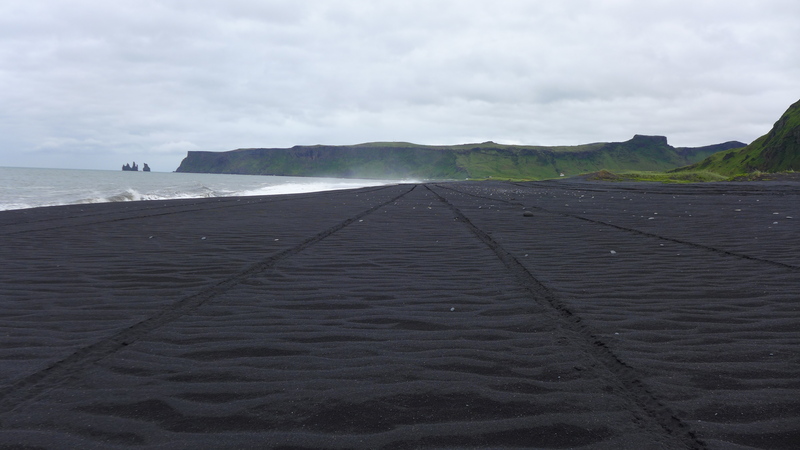 There are stunning mountains covered in the greenest moss you’ve ever seen, contrasted with beautiful black shimmery sand. 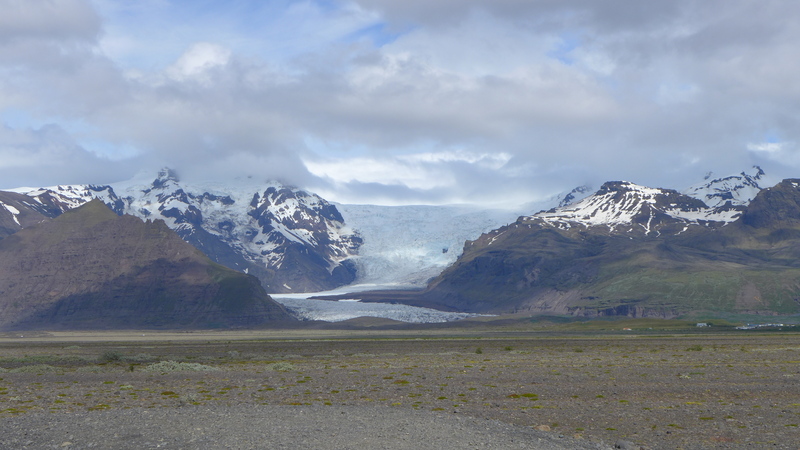 The Myrdalsjökull glacier looks a bit like a zebra and its colouring is truly gorgeous. 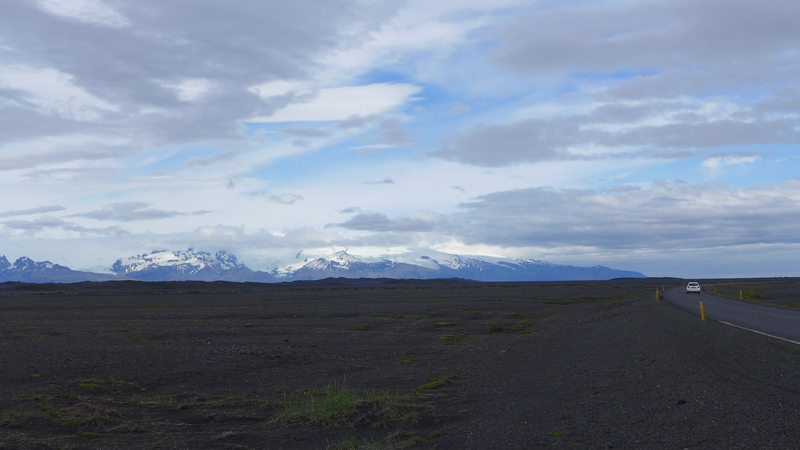 All of this with no other people in sight (you cannot get to Katla without a Super Jeep). 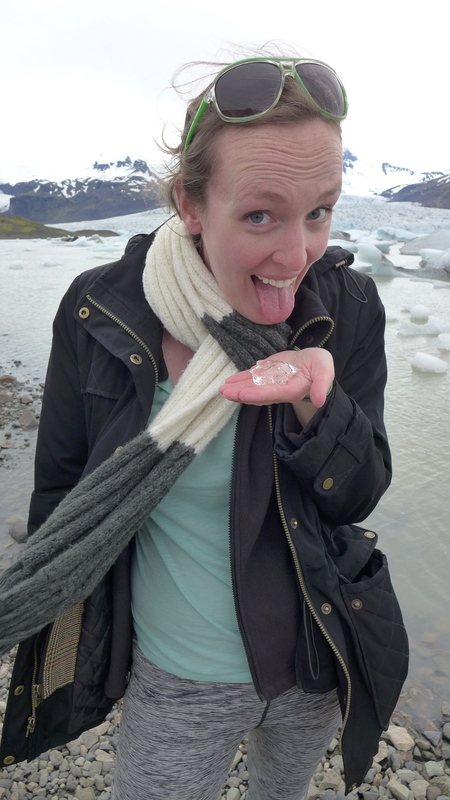 We ate 800 year old ice from the glacier and it was so unbelievably fresh. 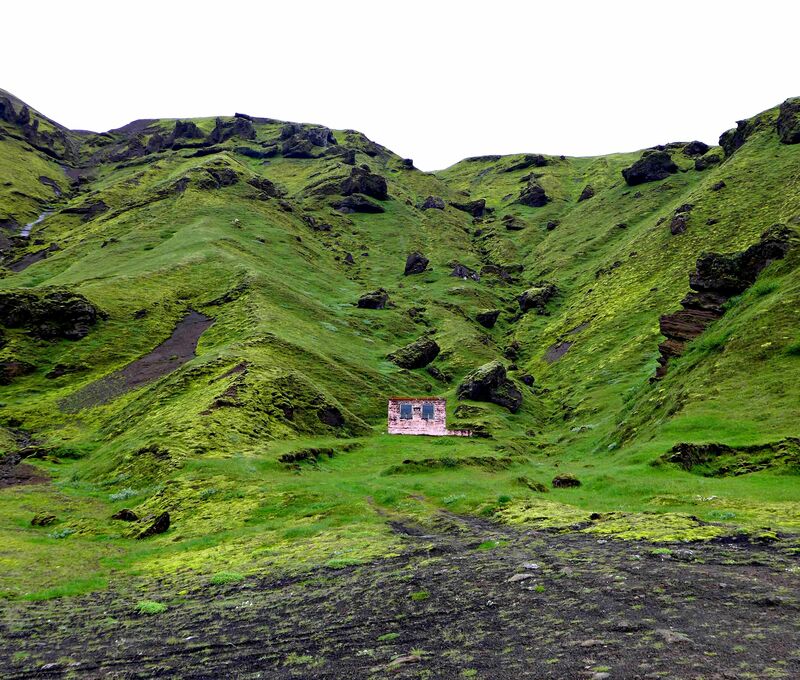 I saw a mountain completely covered in green moss with the exception of one area not covered in moss in the perfect shape of a heart. It made my day and I only wish I could have gotten a photo of it! But my lens probably would have smashed against the window of the Jeep. 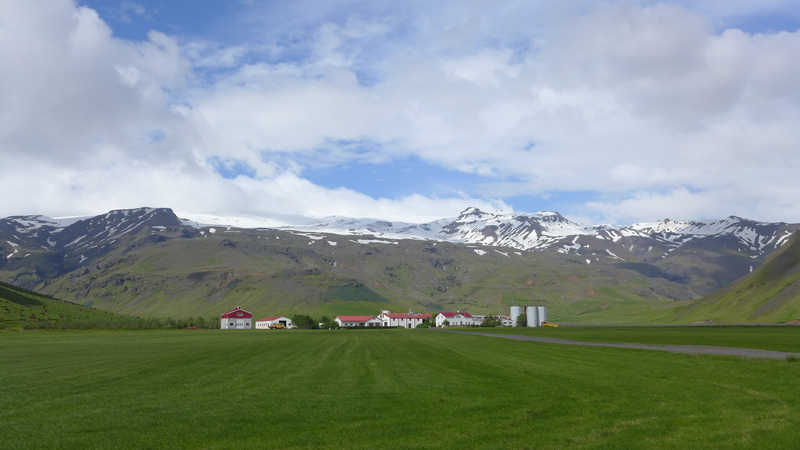 Remember when Eyjafjallajökull erupted in 2010 and caused a massive ash cloud and disruptions to many flights? 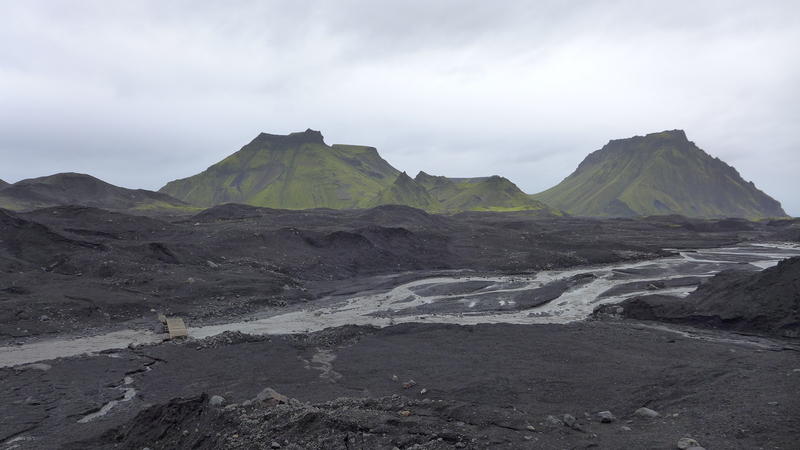 Aron told us after Eyjafjallajökull erupted, the Icelandic president went on television and said “You’ve seen nothing yet. Wait until Katla erupts”. The entire world will likely see effects of this eruption and since I’m in Ireland, I am sure my world will go completely black. Aron is also on the emergency rescue team and it was interesting hearing his stories about his experiences when Eyjafjallajökull erupted. 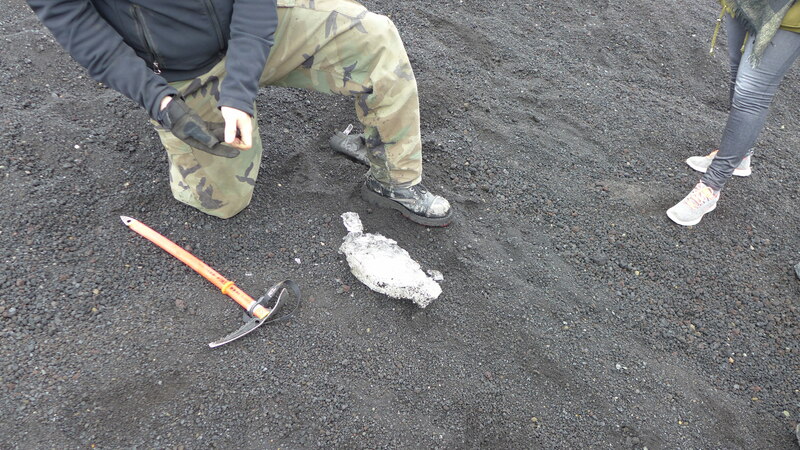 He said Iceland has no idea how to prepare for a Katla eruption. 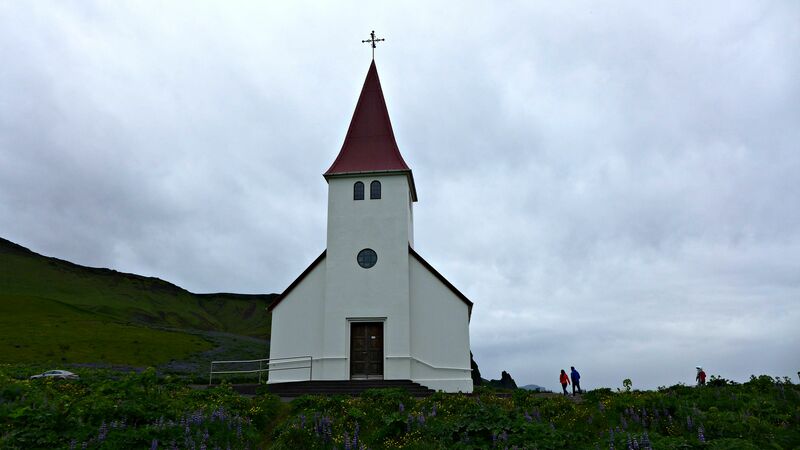 After the tour, we went to the Vík i Myrdal Church (aka the cutest church in the world), followed by a black sand beach near Vík. 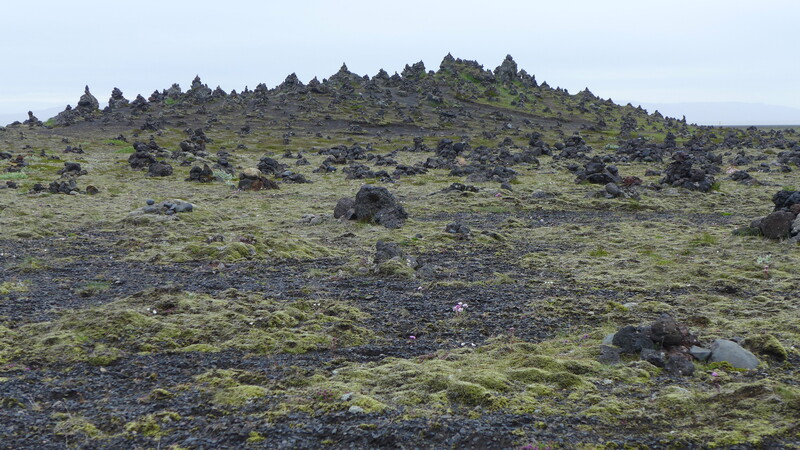 We made a quick stop at Laufskalavarda to see the stone piles. 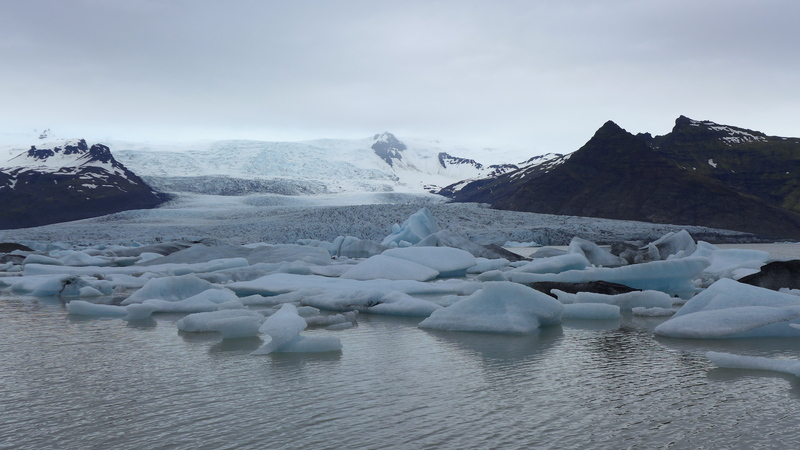 Our next major stop was Fjallsárlón – a glacial lagoon, which is less crowded and lesser known than our next stop, Jökulsárlón. These 2 sights are the most beautiful sights I have ever seen in my life. 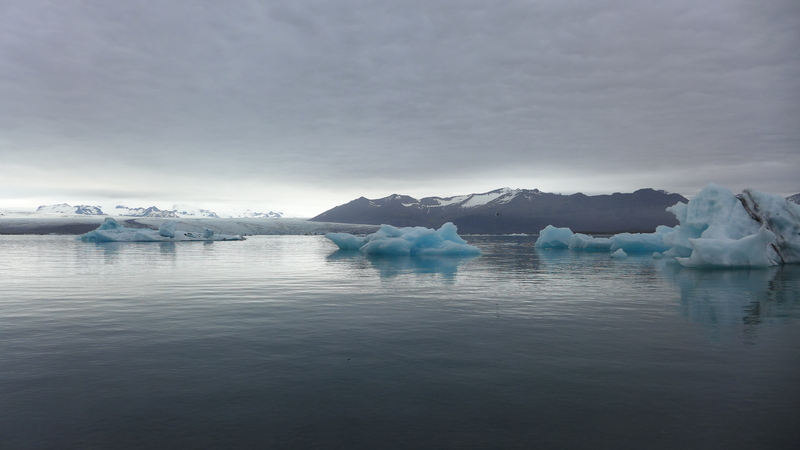 For some reason, I never thought I’d see icebergs and during the time we spent there, I didn’t feel like I was on Earth. My excitement was unbounded at both of these locations. I have a thing for ice. 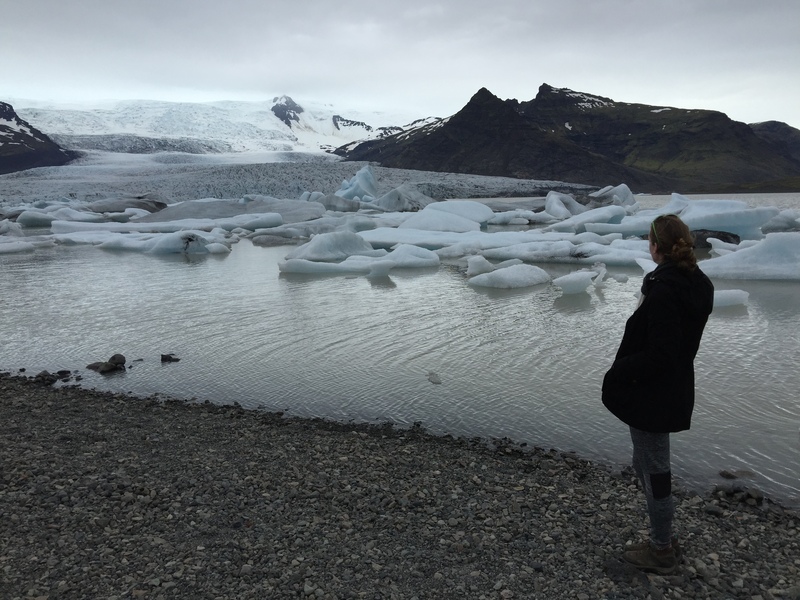 We got lucky and literally had Jökulsárlón to ourselves, even though we’ve heard it can get very crowded, especially in summer. They do boat rides at both locations (I think), but not on weekends, which is sadly when we were there. 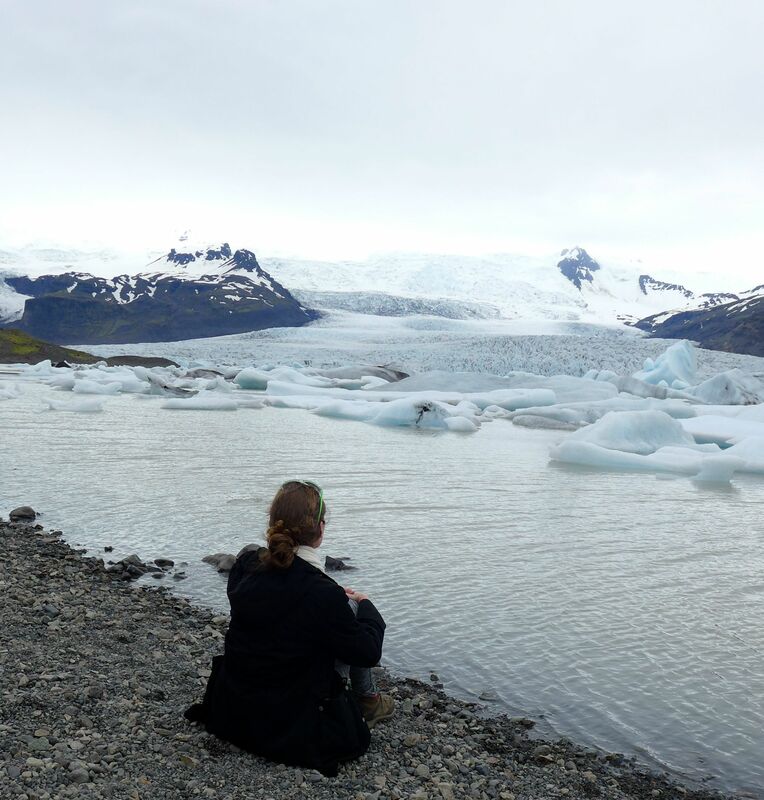 I would have loved to get even closer to the glaciers. 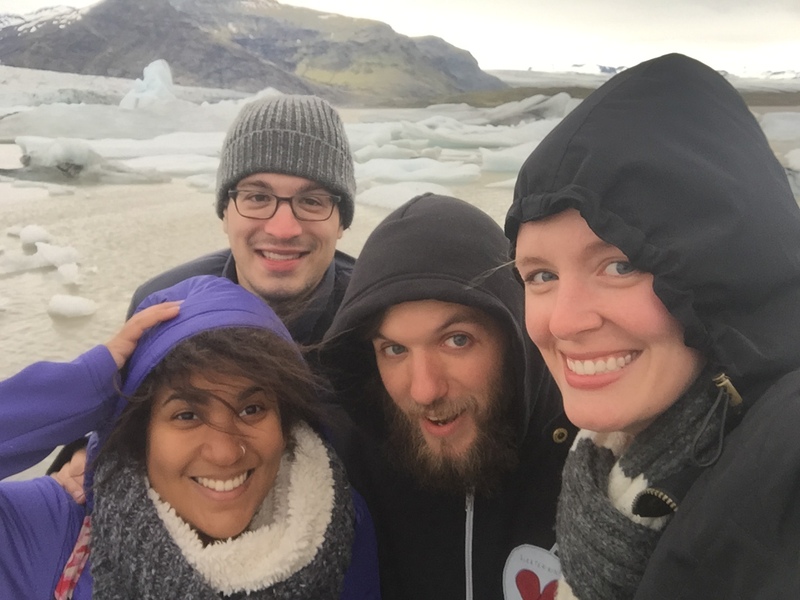 Fjallsárlón was absolutely freezing and the arctic winds were hard to handle. 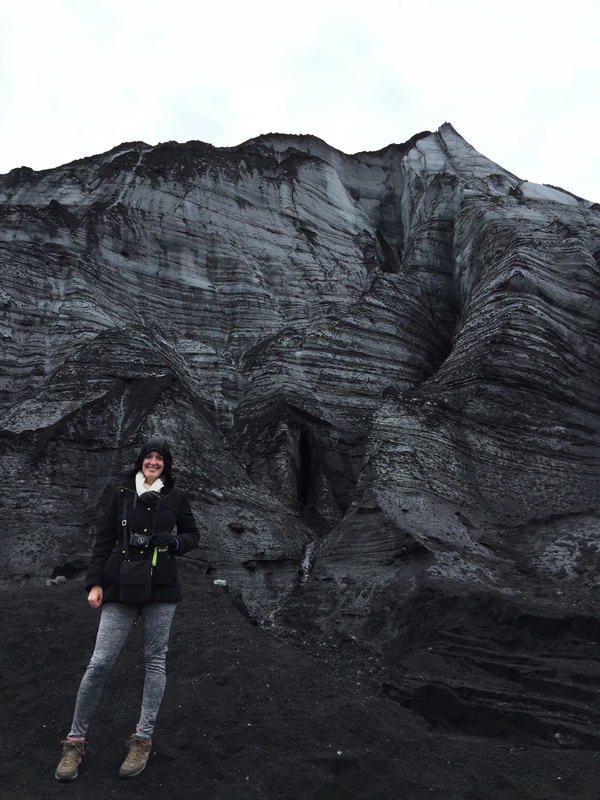 Jökulsárlón was eerily warm and any wind was completely blocked. 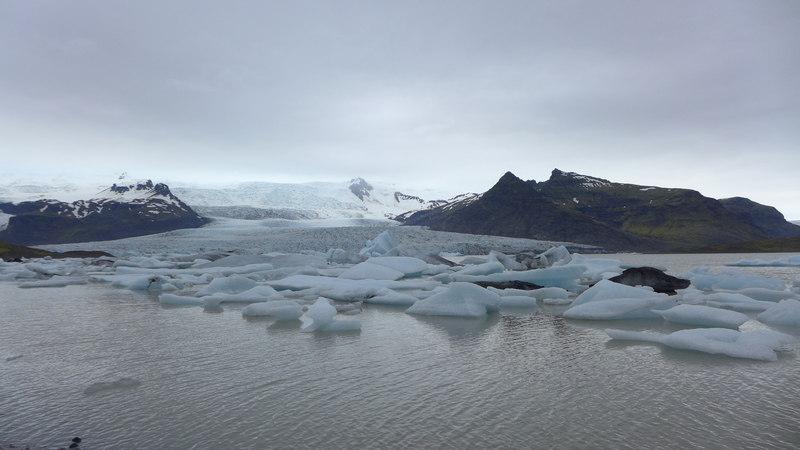 It was amazing (and a bit sad) to see icebergs at Jökulsárlón breaking and falling over. The sound was extremely loud, like a gunshot. In a funnier moment, we witnessed a massive iceberg fall over and then right itself again a few minutes later. 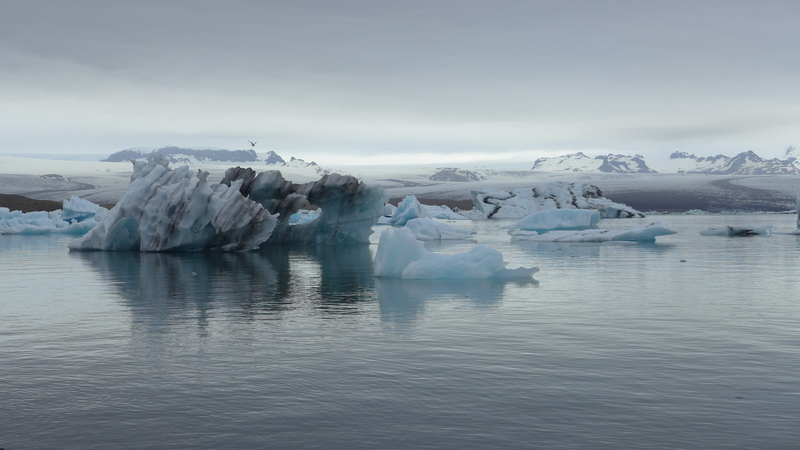 There were a few icebergs at Jökulsárlón that were such a beautiful deep blue. 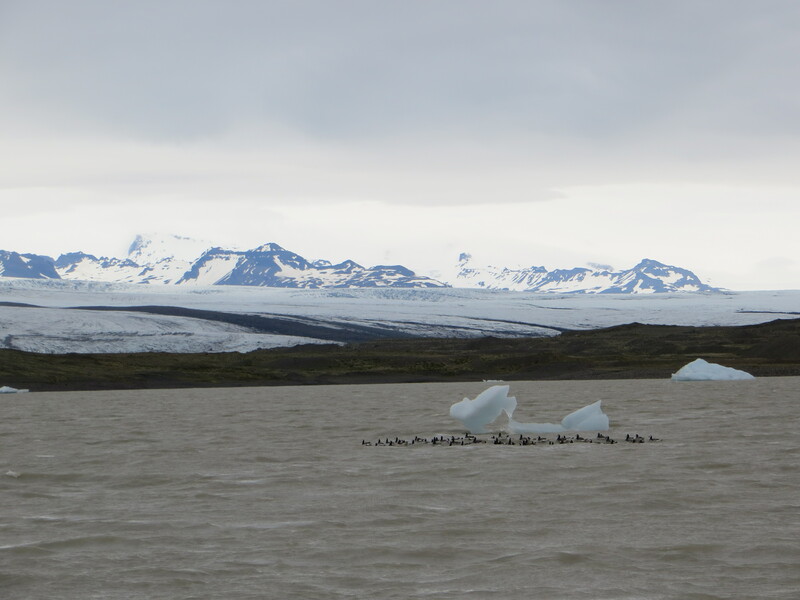 Right before we left Jökulsárlón, we witnessed a large flock of arctic birds make their way across the land and go for a swim in a line. 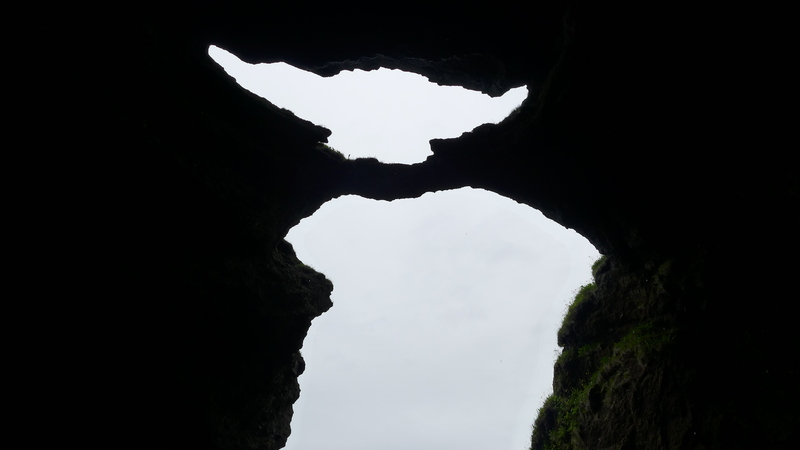 I am not sure what type of birds they were – they definitely weren’t puffins. It was very difficult to leave, especially since even while at the glaciers, I knew without a doubt that this would be the highlight of the trip for me. There were so many more amazing sights to come, of course, but this was number one for me. And it was only day 2! I didn’t want to leave, but we had passed the point of starvation and snacks weren’t doing it anymore. We were desperate for an N1 or any source of real food but, alas, no such luck. We still had an hour to drive before we made it to Hofn and found our trusty N1 and bought “appetisers” to hold us over until we found our accommodation for the night. We were lost. We called our host and his directions didn’t make sense to us so we ended up driving back and forth until he came to rescue us and we followed him to our gorgeous accommodation that night. I had intentions of being able to describe exactly how to get to this place, but I forgot to write these directions down and they are long gone in my memory now, so for this I apologise. Just know that if you decide to stay here, it is worth the search! Just make sure you have a working mobile phone to call the host because you WILL get lost. It is not on Google Earth and cannot be found on any GPS. We finally arrived at 10:30pm and decided to boil water to make pasta. The water LITERALLY took 1 hour and 45 minutes to boil – so we ate dinner at 12:30am!! But it was really nice to finally have a home-cooked meal together. Our slightly full trunk/boot, strategically packed every morning! Still to come: days 3-7 of our road trip + 2 bonus days full of adventure! 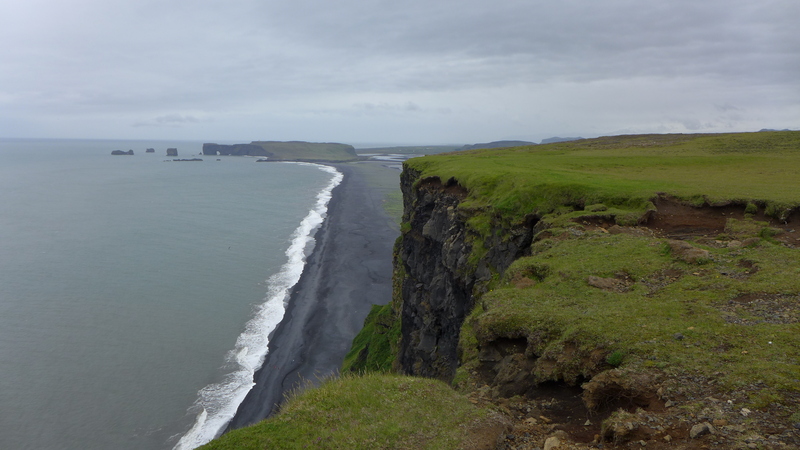 ← How expensive is Iceland (in summer)? Love this!! Thank you for sharing your journey. You’ve outdone yourself with this wonderfully informative blog!! This has to be ranking as the best road trip ever!! I am SO very proud of you Chelsea! 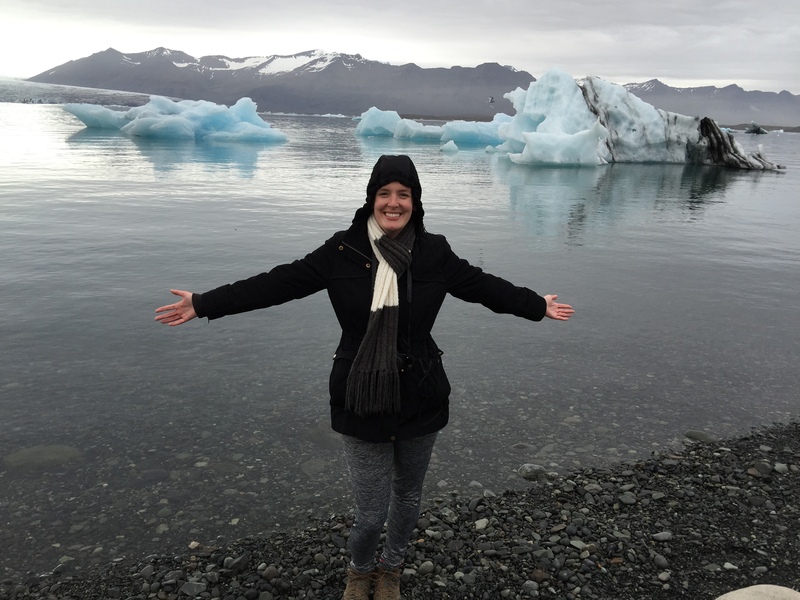 I forgot to add that you did a fabulous job planning this 10 day trip and your travel mates were lucky to have you!